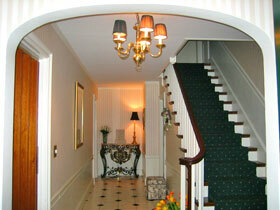 Guests are greeted by a beautifully tiled foyer with French reproduction furniture. A graceful staircase invites visitors to our elegantly appointed guestrooms. Amenities include wireless internet and cable television. 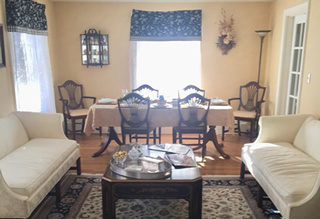 The Living/Dining area, with a mix of traditional and antique furniture, welcomes visitors to relax, read the paper, watch TV, or converse with friends. 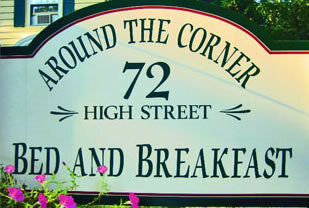 A full breakfast is served each morning with seasonal dishes. Coffee and tea is available throughout the day.